Hettich TopLine Grant HD 9191125 Hardware, Doors up to 325 Lbs. Grant, TopLine Heavy Duty Sliding Door Set, for doors, weighing up to 325 Lbs. 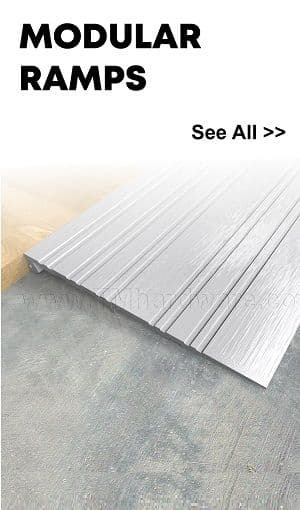 Used for doors between rooms, closet doors, cabinets and storage walls. For doors 30" - 94" Wide. Track sold separately. To order as a complete set with track, see our TopLine Grant HD Sliding Door Set. Hettich TopLine Grant HD Low Profile Sliding Door Hardware, Doors up to 325 Lbs. 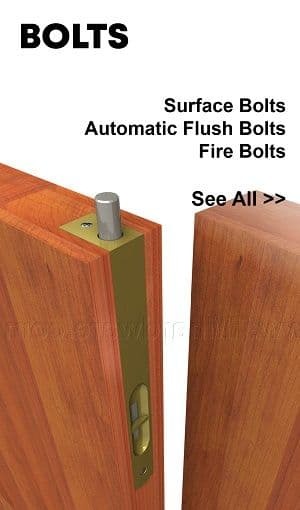 Grant, TopLine Heavy Duty, Low Profile Hardware Set, for sliding doors, weighing up to 325 Lbs. Sleek and Elegant. Minimizes the gap at the top of the door, with a minimum reveal of 3/16". 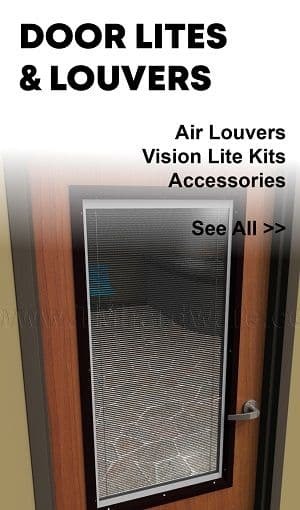 Set contains all hardware for a single panel door (minimum thickness of door 1-3/8"). Hettich TopLine Grant HD Sliding Door Hardware and Track, Doors up to 325 Lbs. Grant, TopLine Heavy Duty Sliding Door Set, for sliding doors, weighing up to 325 Lbs. 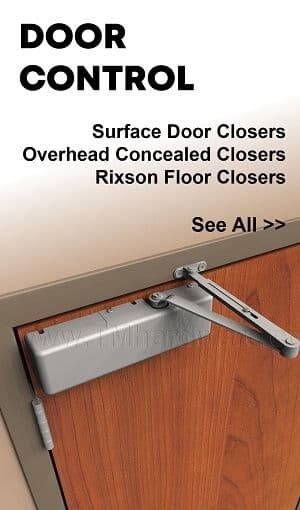 Used in applications requiring heavy panels, space dividers or large doors. For Doors up to 325 Lbs. and between 30" - 94" Wide. Available in a choice of track lengths from 48" -144". Hettich TopLine Grant SD 9191124 Hardware, Doors up to 150 Lbs. Grant, TopLine Medium Duty Sliding Door Set, for doors, weighing up to 150 Lbs. 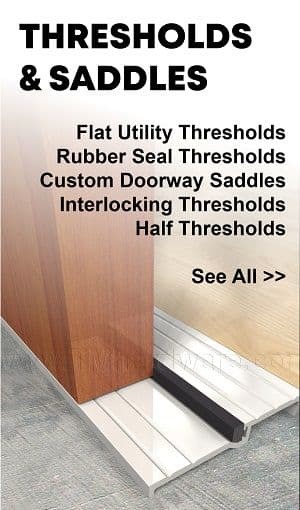 Used for doors between rooms, closet doors, cabinets and storage walls. For doors up to 150 Lbs. and between 30" - 94" Wide. Track sold separately. To order as a complete set with track, see our TopLine Grant SD Sliding Door Set. Hettich TopLine Grant SD Low Profile Sliding Door Hardware, Doors up to 150 Lbs. 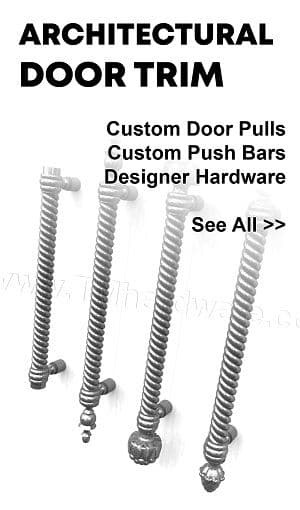 Grant, TopLine Standard Duty, Low Profile Hardware Set, for sliding doors weighing up to 150 Lbs. Sleek and Elegant. 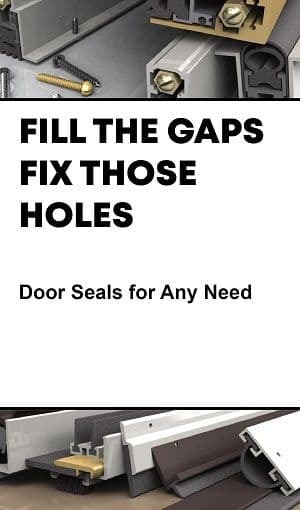 Minimizes the gap at the top of the door, with a minimum reveal of 3/16". 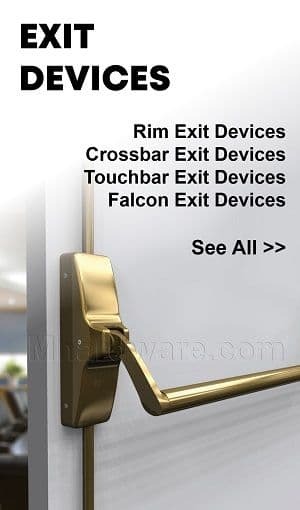 Set contains all hardware for a single panel door (minimum thickness of door 1 3/8"). 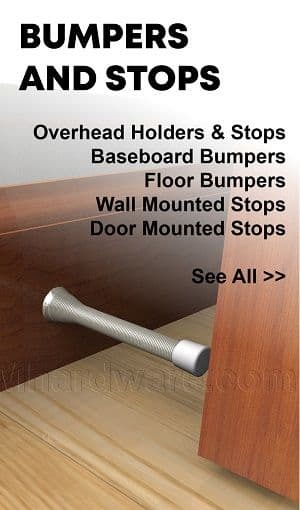 Hettich TopLine Grant SD Sliding Door Hardware and Track, Doors up to 150 Lbs. 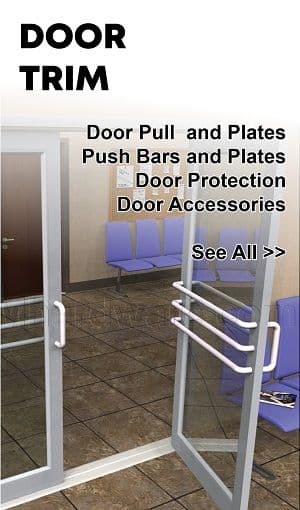 Grant, TopLine Medium Duty Series for sliding doors up to 150 Lbs. and between 30" - 94" Wide. 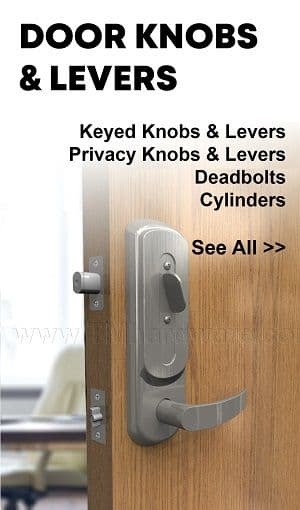 For doors between rooms and cabinet doors. Available in a variety of track lengths. Hettich TopLine Grant XHD Sliding Door Hardware and Track, Doors up to 500 Lbs. 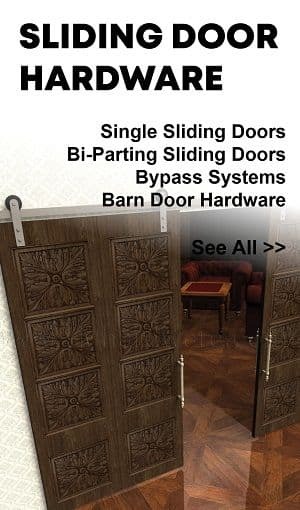 Heavy Duty Sliding Door Set for TopLine XHD Series, see Video Tab below. 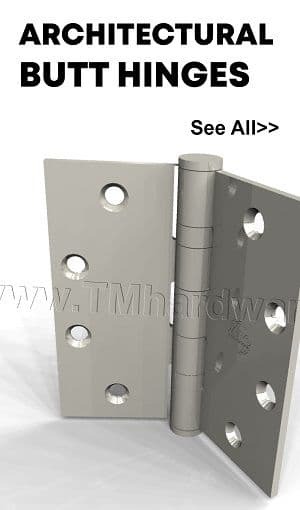 Used in applications requiring heavy panels, space dividers or large doors. For Doors up to 500 Lbs. and between 30" - 94" Wide. 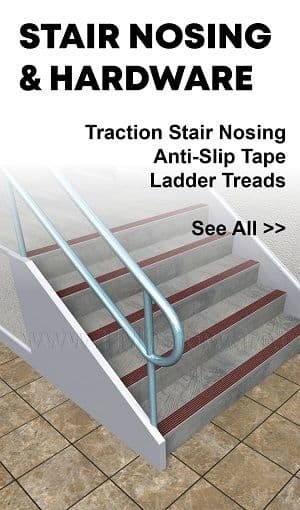 Available in a choice of 72" and 96" track lengths. PC Henderson H1100A High Performance Sliding Door, Overhead or Sidewall, 1100 Lbs. H1100A Aluminum Track Sliding Door Series for doors weighing up to 1100 lbs. requiring high performance and an attractive finish. All parts supplied for installing door panels in a single or bi-parting configuration are included. Choose between overhead or sidewall mounts. PC Henderson H200 Sliding Door System, Steel Track, 200 Lbs. H200 Sliding Door Series includes all the parts necessary to install sliding door panels weighing up to 200 lbs. in a single or bi-parting configuration. The track is made of steel to prevent warping and bending. Choose between overhead and side wall mounting options. PC Henderson H200A Sliding Door System, Aluminum Track, 200 Lbs. 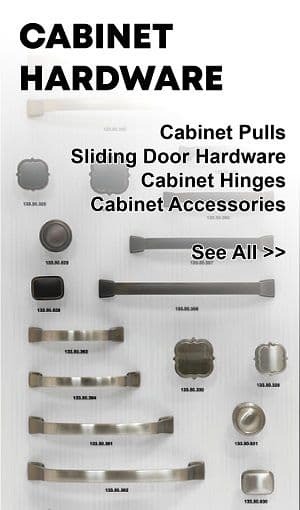 This Sliding door series includes all the parts necessary to install sliding door panels weighing up to 200 lbs. in a single or bi-parting configuration. The track is made of sturdy aluminum. Choose between overhead and side wall mounting options.